Note: Some reported the flight originated from Bali. However, there has never been any flight from Bali to Los Angeles. The correct flight was from Taiwan to Los Angeles. By taking a straight line from Taiwan to Los Angeles in a Mercator map, Anchorage appears to be far from the “flight route,” and locations like Honolulu appears closer and more suitable as a diversion airport. 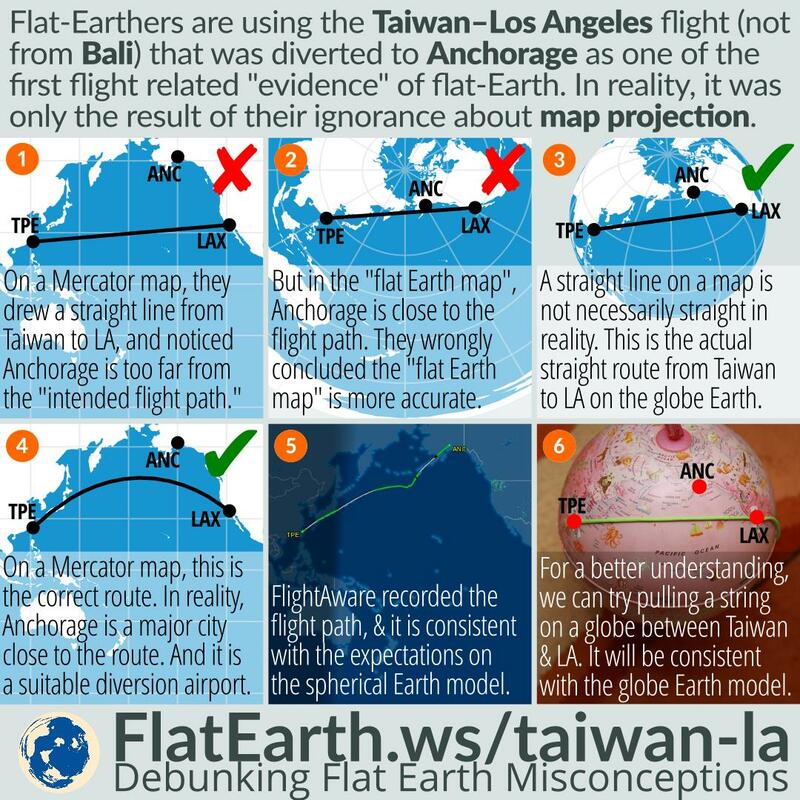 Then, they take the so-called “flat-Earth map,” draw the same straight line, and noticed Anchorage is very close to the flight route. 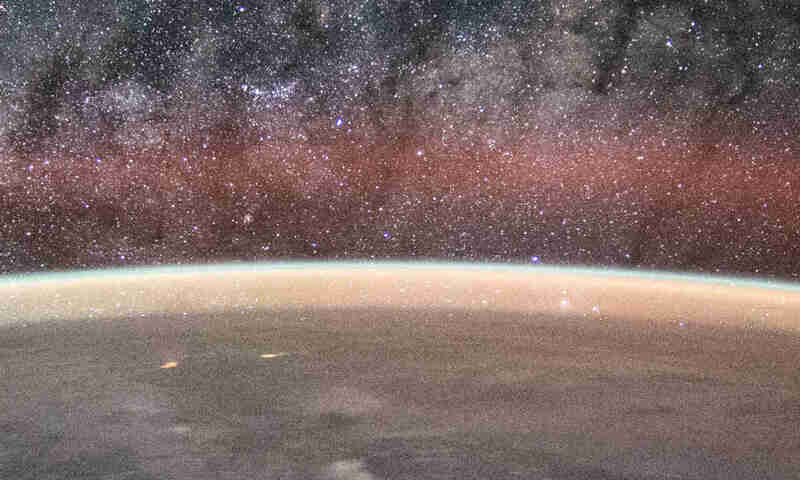 They falsely concluded that the so-called “flat-Earth map” is a more accurate map. Due to distortions in maps, straight lines in a map do not necessarily represent straight route in the real world. The closest distance between two locations is determined from the great-circle method. From this, we can know that Anchorage is indeed a major city closest to the flight route, and it is a suitable diversion airport. For a better understanding, we can try using a string on a globe. Pull the string between Taipei and Los Angeles on the globe, and try to make the string as short as possible. The result will be consistent with the spherical Earth model and the actual flight route recorded by websites like FlightAware.